Erica Meltzer's books have come onto the scene in the past few years with great reviews. Her books are fantastic for the subjects they cover - Reading and Writing. She's published two books for the SAT - The Complete Guide to SAT Critical Reading, and The Ultimate Guide to SAT Grammar. While these are high quality books, they're not perfect, for reasons we'll explain in this article. Keep reading to figure out whether these books are appropriate for you, and whether you should integrate these as part of your personal prep program. When you get advice on the internet, it's important to understand why you should believe the advice you're receiving. Because your SAT score is important, follow the wrong advice, and it might be too late to improve your score. I like to think that I know what I’m talking about. I scored two perfect scores on the SAT and have worked personally with thousands of students prepping for the SAT. I’ve worked with students at all levels, from people at a 1200 level to people aiming for a 2300+. Other writers often don't have the expertise to differentiate between books, and they recommend books as an afterthought (and you can probably tell). I don’t get paid for these recommendations, and I don’t get paid if you buy these books. I’ve studied dozens of books for SAT prep, and I review the books that I come across. Other sites, especially about.com and reviews.com, get paid for featuring books and get a kickback when you buy a book they recommend. One disclaimer: I’m co-founder of PrepScholar, an online SAT/ACT prep program. I believe we’ve built the best prep program available right now. It diagnoses your strengths and weaknesses and gives you a structured all-in-one program, combining the best aspects of the books below, so you know exactly what you need to study at every point. But I want to stress that you don’t need a program to excel at the SAT. In fact, writing this guide may lose us some customers, since you might decide that you don’t need a program at all. But if you decide that you don’t want to manage 10 books and want an integrated complete program that customizes to your learning, check PrepScholar SAT out. Who's the author, and what is his or her experience with the subject matter? How effective is the book, and why? What are the book's main pros and cons? Erica's books are clearly high quality - they made my list of Best SAT Prep Books 2015. But they do have their shortcomings, which we'll discuss below. Erica Meltzer started as a tutor and eventually published her SAT and ACT prep books in the past few years. Erica also graduated from Wellesley College, which is a prestigious college ranked #4 of all liberal arts colleges in the country. While she seems not to tutor much currently, her books show that she has a great deal of expertise on the SAT and ACT. How Effective is the Book? In my experience with thousands of students, SAT Reading is the most difficult section to improve. It uses logical reasoning skills that aren’t as easily mastered as math concepts or grammar rules. It’s very important to drill down on what types of questions are asked, and how to approach these questions in a systematic way. 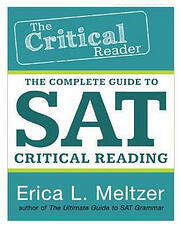 Erica's book dissects the SAT Reading section by question type and skill. She does a great job of teaching the core of what the question is asking, and how to work with the passage to arrive at the correct answer. Of all writers, Erica Meltzer aligns most closely with my personal philosophy of drilling questions skill-by-skill to recognize patterns to questions. The book is very thorough - in fact, it's too thorough for the average student. It goes into every nook and cranny, and if you're scoring below a 650, this is NOT the best book to use. If you're a student gunning for a perfect SAT score, though, this is a good book to drill comprehensively and to perfection. Furthermore, this book requires a lot of work to get through. At 350 large pages, it'll take most students 15 hours or more to get through this book. If you don't have a lot of time to prep, you won't be able to get the most out of this book. Great breakdown of the Reading section on a skill-by-skill level. Helpful strategies for every type of question, from main point questions to inference questions. Lots of high-quality, realistic passages and questions. She uses passages similar to those you’ll see on the SAT and has spent a lot of time licensing high-quality passages. Has a helpful guide listing the questions on the SAT by skill, so you can get even more focused practice using the Official SAT Study Guide. The writing style is dry and clinical, like an academic textbook. I personally prefer this – cut out the fluff – but it can be quite dense for the average student. The thoroughness doesn't point you in the right direction depending on your strengths and weaknesses. If you're scoring at a lower level, you need to concentrate on some skills more than others, and this book can lead you astray. Lack of creative page layouts and a lot of text on large pages can get tiresome. This is currently my favorite book for the SAT Reading section. If you're planning on scoring a 700 or above on the Reading section and prefer to study by books, this is a great option. It's more expensive than average and it's too thorough for many students, but it's a great choice that will teach you a lot. Read our detailed guide to the Best SAT Prep Books to put together your own study program based on the best SAT books available now. What's a good SAT score for you? Figure it out with our step by step guide based on the colleges you're applying to. Aiming for a high score? 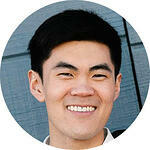 Read our guide to scoring a perfect SAT score, written by me, a perfect SAT scorer. Check out our industry-leading online SAT program. We've designed it to cover all the advantages of books and tutors at an affordable price. Featuring in-depth strategy lessons and thousands of practice questions, we have the content from the leading books. Beyond that, the program acts like your personal tutor. It guides you step-by-step through what you should be working on at every moment to best improve your score. It customizes to your strengths and weaknesses, then gives you focused practice so you learn the patterns on the SAT. Furthermore, it motivates you to study so that you put in enough time. There's a 240 point guarantee - if you don't improve your score by 240 points, you get all your money back.